The Customer Journey | Better. Recently we talked about just how powerful packaging is when marketing a product, and where it falls into that all-important customer journey. We want to look more at the journey itself, and how marketing has changed incredibly in the last 10 years alone with the influence of digital. But in what way has it changed the customer’s path to purchase? 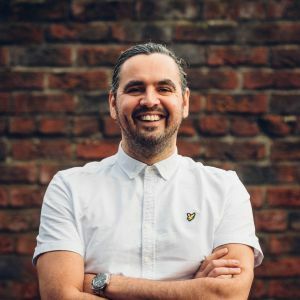 We want to take a step back and identify why the traditional marketing funnel is no longer relevant in the digital age, as well as the different types of touch points there are across the new dynamic customer journey. Digital really has reshaped the customer journey, with different varieties of content used to turn prospects into customers, and then into fans or advocates of your brand. With a mixture of paid, owned and earned media to drive traffic to your website and in turn persuade someone to buy your product. 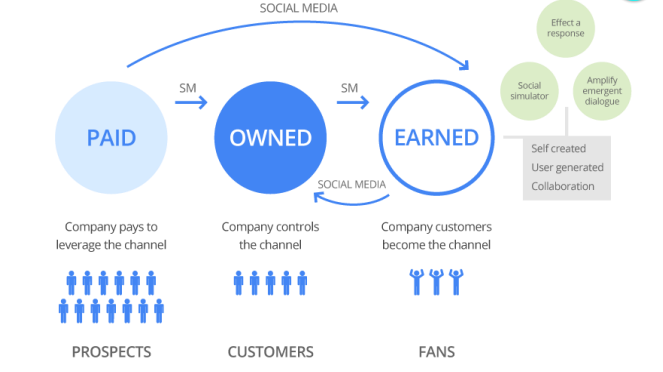 Looking at the below diagram, we can see how this model works via social media channels, with companies paying to leverage the channel to entice prospects, to owned content which is controlled by the company to transition those prospects into customers, and then you have that valuable earned content, where advocates of your brand become the channel through user generated content and collaboration with one another. This can be in the form of reviews, blog posts, or even just a recommendation on Twitter. With the face of marketing constantly changing, the lines between offline and online shopping experiences are blurring significantly. 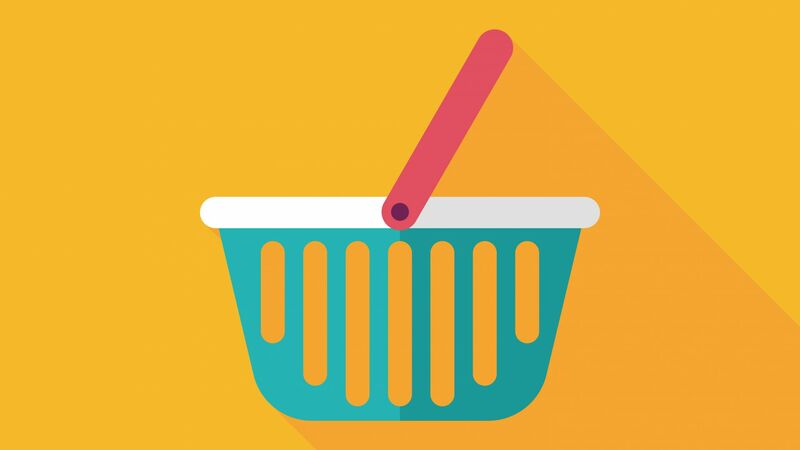 According to marketing giant DigitasLBi, approximately 88% of consumers now search for a product online before they buy in-store. They call this ROPO, Research Online Purchase Offline. We can see that there is a huge trend here in people increasingly using the internet to enhance their in-store shopping experiences. We’ve all done research on that new car or laptop we desire by using the internet but then went away and bought it on the high street. It makes life a whole lot easier. And it seems we aren’t alone in this. DigitasLBi also reported that 26% search on a tablet, 42% on mobile and 67% on a desktop. We spoke about the First Moment of Truth in our last blog, but let us elaborate on this and show you the different moments of truth within the customer journey. Whether we’re shopping for shampoo, festival tickets or a well-needed holiday, the internet has dramatically changed how we decide what to buy. 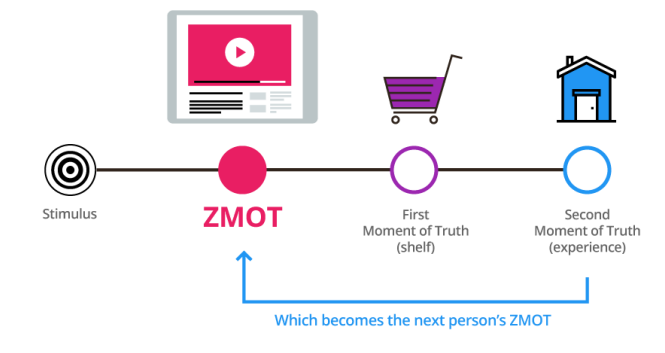 Google call this online decision-making moment the Zero Moment of Truth – or put simply, ZMOT. 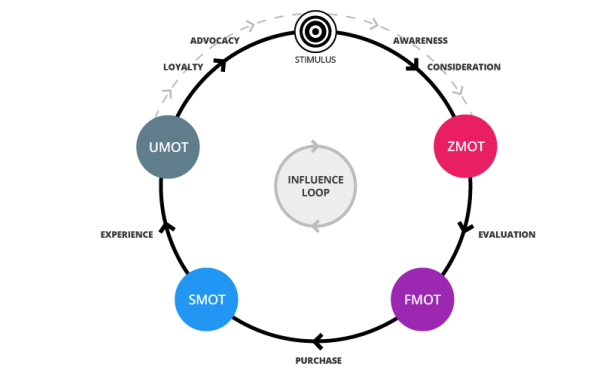 ZMOT was coined in 2011 and is used to describe the way us consumers search for information online and make decisions about brands. Google say that search and ZMOT have continued to grow in importance and scale, and as consumers’ behaviour evolves, so must the ways in which brands engage those consumers. People, more now than ever before are asking Google questions. These questions can be anything from “Which brand of running shoes will support my feet the best?” to “What shampoo is good for frizzy hair?” or “What will remove red wine from my carpet?” A brand that can provide the answers to these questions will win straight away as it helps improve a consumer’s life and gives that competitive edge over anyone else. There’s so much more to the customer journey than you think, with lots happening after each step within the path to purchase. After the customer is initially stimulated by perhaps a tv ad or Instagram post, they are then aware of the product or brand and are considering making that next step to research further online, which is that Zero Moment of Truth. After this, they will have then made a good evaluation about that product, which leads them to go into a shop and pick it up off the shelf, known as the First Moment of Truth. After purchase, they will experience the product by using it, known as the Second Moment of Truth, and then write about their experience online via social media or perhaps a blog post; known as the Ultimate Moment of Truth, which is what brands crave. It’s that earned content that they require to drive loyalty and advocacy in their brand and kick off that cycle again for someone else. So, how can we use the Zero Moment of Truth to our advantage? According to Google, there are around 100 billion searches in one month. So, if you think about it, these searches are a fantastic opportunity for you to answer the questions that your target market is searching for, and at a time when they are most engaged. Make sure you have interesting and engaging content – Have the answer, and most importantly, the right answer. Use rich content such as tutorial videos or links to relevant products. Make sure the right piece of content is being served at the right time. Be present in the moments that matter – Being successful means being present. Ensuring that you are at the forefront of people’s minds by being present on Google searches. You need to be active on social media, forever monitoring for these questions to provide the right answer. You need to really understand what your target market are searching for, how many times you show up and how many times they choose you over a competitor. Measure the impact – What do you do once you’ve captured this Zero Moment of Truth? How can this help you meet goals or specific KPIs? You need to be committed to it. If you’re using search to uncover and understand the moments that matter, that show up, that provide the right answers and that measure the impact, you will have more of a chance to really take that competitive advantage. Helping consumers when they need it most is what matters. If you’re looking for an agency that can really help you understand your brand and market it in a way that captures your key customers at that right moment, then we are your people! Give us a call on 01642 989158 or drop us a line on studio@betterbrandagency.com and we can run you through our tried and tested BetterBrandBuilder that will take your hand and show you how to create those key touch points in the customer journey.